A delicious hearty meal that’s easy to make and perfect for a cold winter day! The perfect chili recipe that’s easy to make and tastes amazing! Thanks to Amanda Stortz for this delicious recipe! Next, brown ground beef over medium heat until cooked. Drain fat. Combine beans, beef, onion, peppers, and broth in the slow cooker. Next, stir in Hurst's ham flavor packet and 1/2 of the chili seasoning mix. 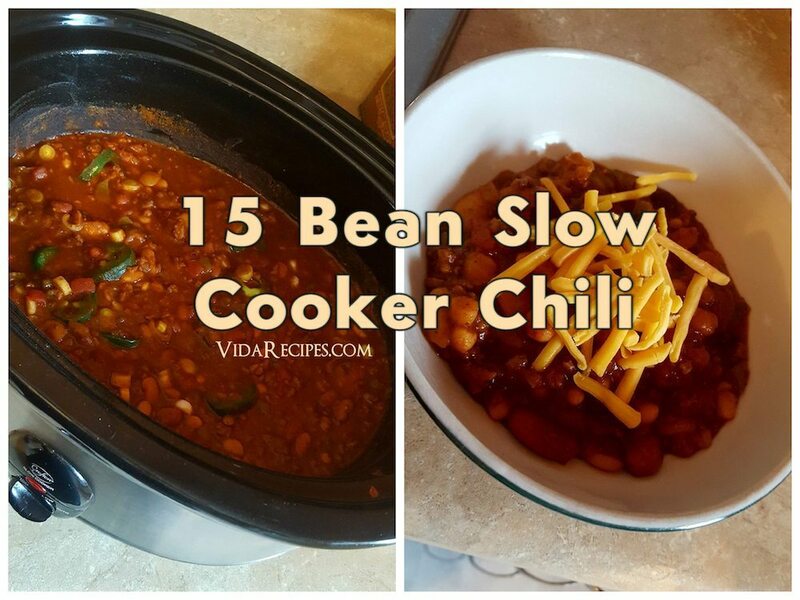 Cover and cook in slow cooker, on high for 5-6 hours or until beans are tender. Add in diced tomatoes, tomato paste and remainder of chili seasoning mix.